The Kinabatangan River is a river in Sabah, Malaysia. 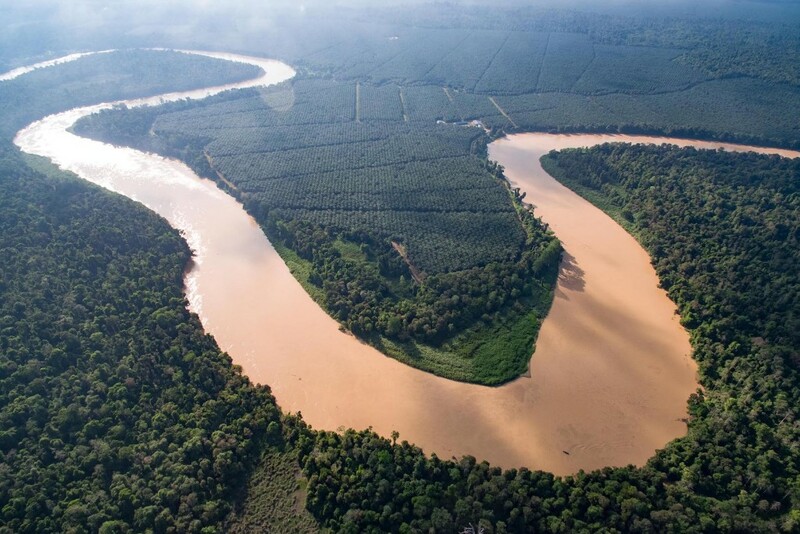 It is the second longest river in Malaysia, with a length of 560 km (350 mi) from its headwaters in the mountains of southwest Sabah, to its outlet at the Sulu Sea, east of Sandakan. The ecology of the upper reaches of the river has been severely disrupted by excessive logging and clearing of land for plantations. However, the original lowland forests and mangrove swamps near the coast have largely survived, provide sanctuary for a population of saltwater crocodiles (Crocodylus porosus), and contain some of Borneo's highest concentrations of wildlife. Of special note are Borneo's indigenous proboscis monkeys, Bornean orangutan and Asian elephants. The area is also known for its great variety of birdlife. In 1997, 270 square kilometers (27,000 ha) of the lower Kinabatangan floodplain was declared a protected area, and in 2001 this designation was upgraded to that of "bird sanctuary", largely through the efforts of NGOs. Further efforts to have the area declared a "wildlife refuge" or even "national park" had been opposed by oil palm plantation owners seeking to expand their cultivated land. Currently, most nature tourism is concentrated around Sukau, accessible by road and offering comfortable accommodation to visitors prepared to pay for well-managed tours. The most populated area and also the Central Administration for Kinabatangan is Kinabatangan Town, along the Sandakan-Lahad Datu highway and about 90 kilometres from Sandakan Town. The largest cave system in Sabah, Gomantong Caves, can be found in this region.